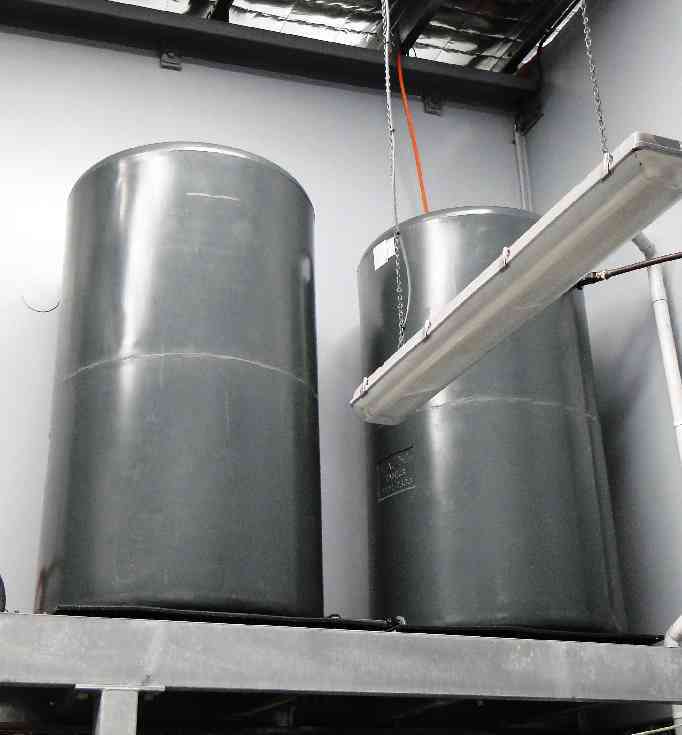 Have a look through our photo galleries of recent installations and get an idea of what's possible. We supply and install everything from small 720L poly courtyard tanks to large 230,000L steel liner tanks suitable for big rural blocks, so can certainly cover your needs. 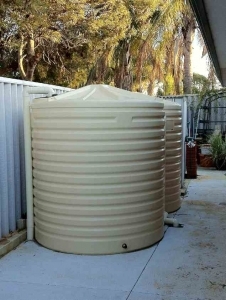 Most people living in the metro area have limited space and go for something up to 5000L in size, which would be around 1800mm diameter. You'll pay a similar price for polyethylene ('poly') and steel tanks in a round format, but more care has to be taken with the base on a steel tank to stop it flexing or twisting, so it will cost more to install. 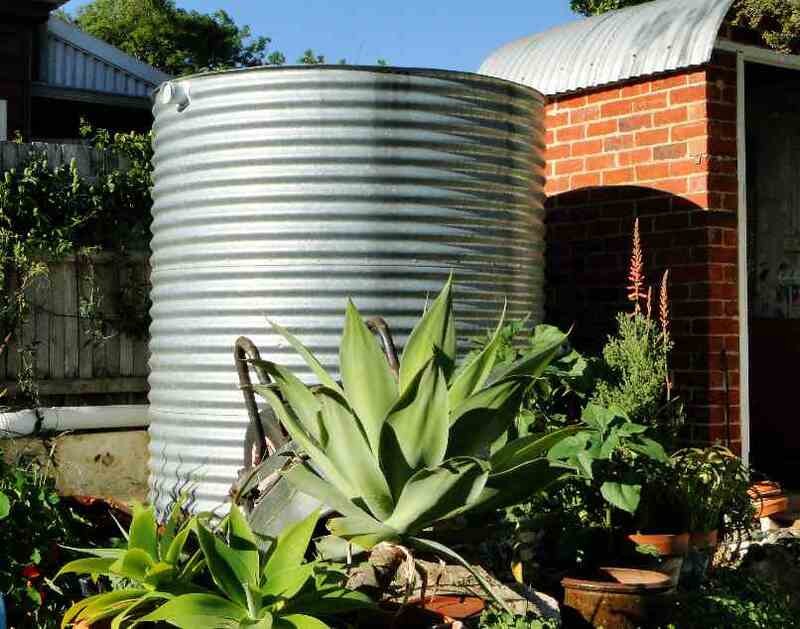 If colour's important to you, there's a limited choice in steel - but many people choose the traditional galvanised finish. A squater version of this standard size available from all manufacturers, and ideal where the inflow is relatively low as on the side of the shed behind. This rainwater tank is filled by a conventional 'dry' pipe off some 30m of gutters that we installed on an existing shed. 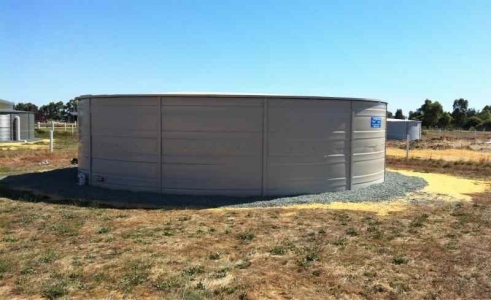 It is connected by 70m of underground 'balance' pipe to a second tank so that both rise and fall together. A DAB Euroinox 40/80 surface pump is installed to supply the retic system. 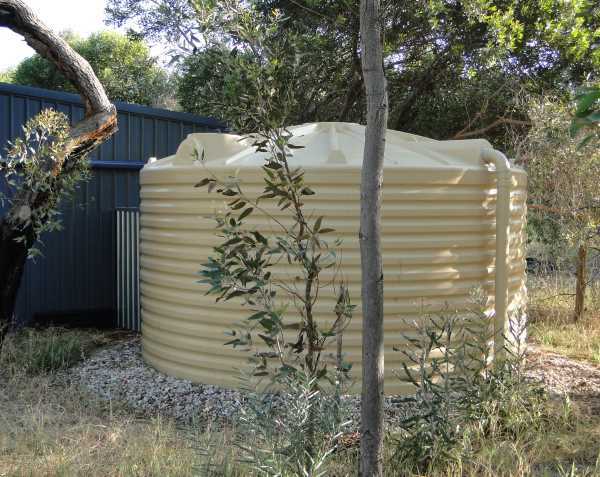 This 22,000L tank with 3450mm diameter and height of 2400mm is around the largest that can be ordered. Coupled to 3 adjacent large slimlines it harvests water through a 'wet' system from the entire house roof and provides water to the whole house. 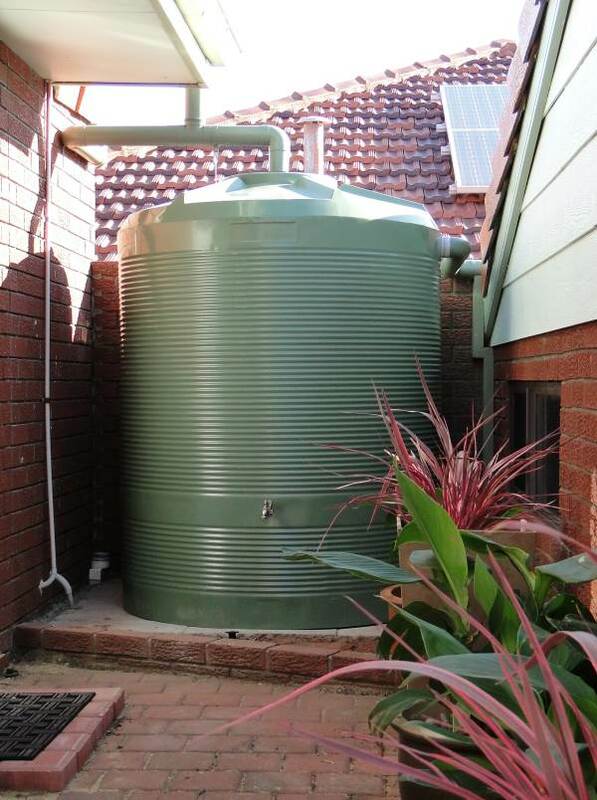 We like how the concrete tank pad is curved around the tank to minimise the area lost to the garden. 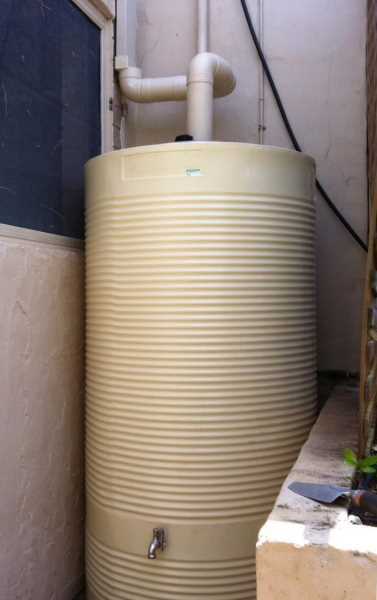 This a good sized tank to supply a family home where there's no mains supply. 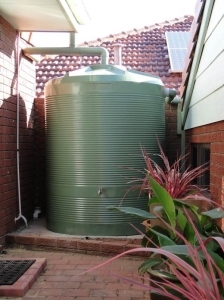 The roof area of the home has to be maximised, and will fill the tank through a well-designed wet system. 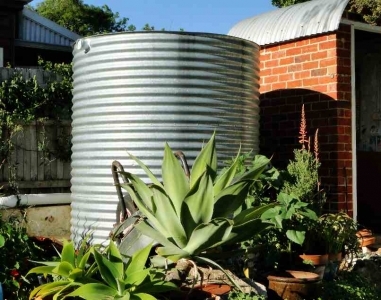 Heritage Tanks like this include a gutter system to create a valuable extra catchment area. 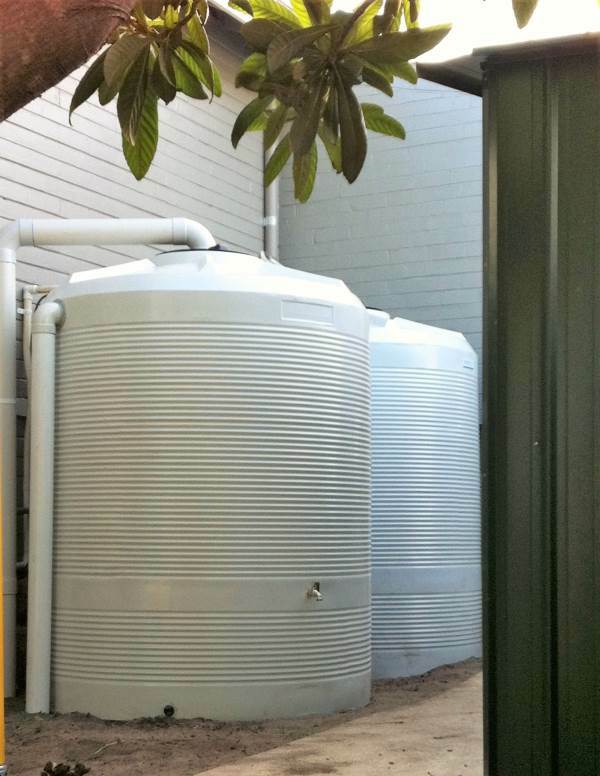 Another example of the very popular oval-shaped 1500L tank from West Coast Poly. 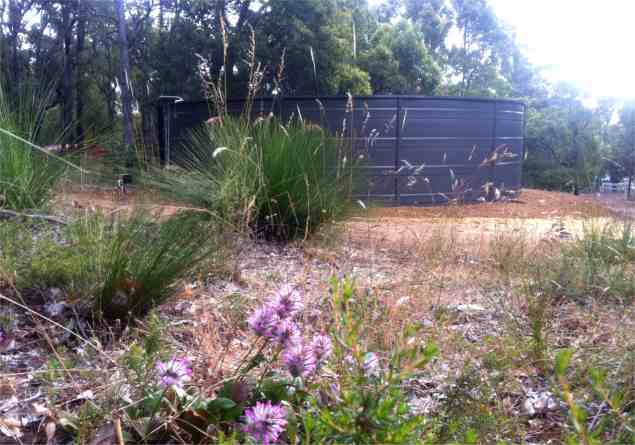 Attractive minirib design matches with the old weatherboard cottage and corrugated steel extension int he same colour seen at back-left. The oval tank fits well into spaces where a larger tank wouldn't. Here the brick paving was sloping and we had to relay the base to make it level. 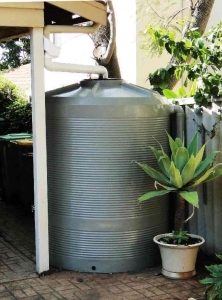 A great fit for this small space between the house and garage. The tank takes rainwater into the top from two gutters on the left, and also from a lower gutter on the right into the side of the tank. WaterCraft excel in finding solutions that maximise the benefit of the tank and make it look smart. 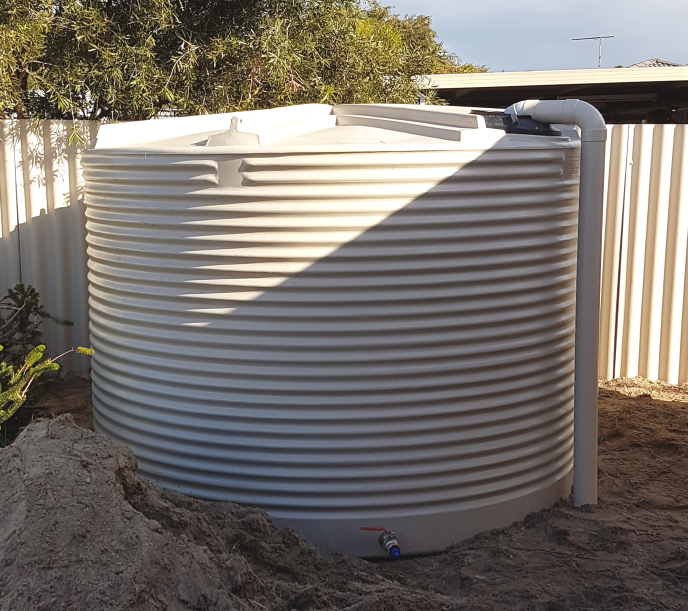 These 2200L mini-ribbed tanks from Coerco are only 1200mm diameter. 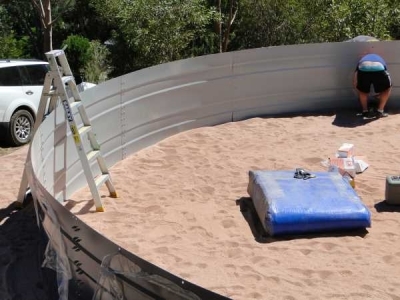 so can be fitted into a small space provided there's sufficient headroom, as there is here under the deck of a house in the hills. 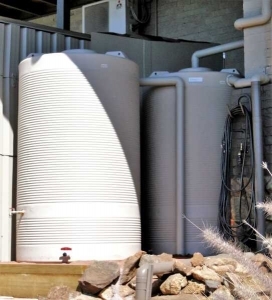 The client had an unused space along the 'services' side of their home and wanted to save water. This pair of 2500L tanks (in Surfmist) harvest water from 3 downpipes along the side of the house and feed water back to the hot water system. 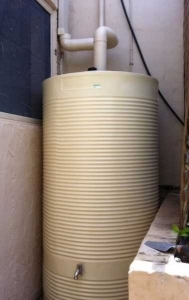 The available space meant that round tanks fitted better than the more normal slimlines. A small poly tank with attractive minirib detailing to replace an older plain galvanised model. 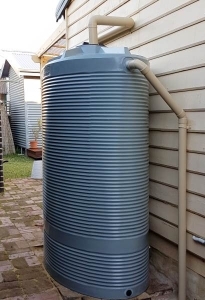 The tank stand provides a little extra height to increae the water pressure. Tank and woodwork colours go nicely together, and we always paint our pipework to match so the whole job looks the part. 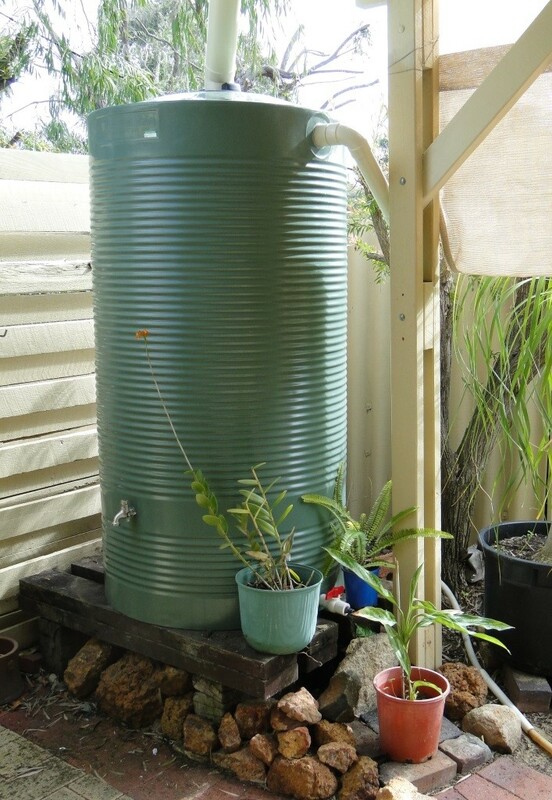 This weathered tank was recycled from another location. 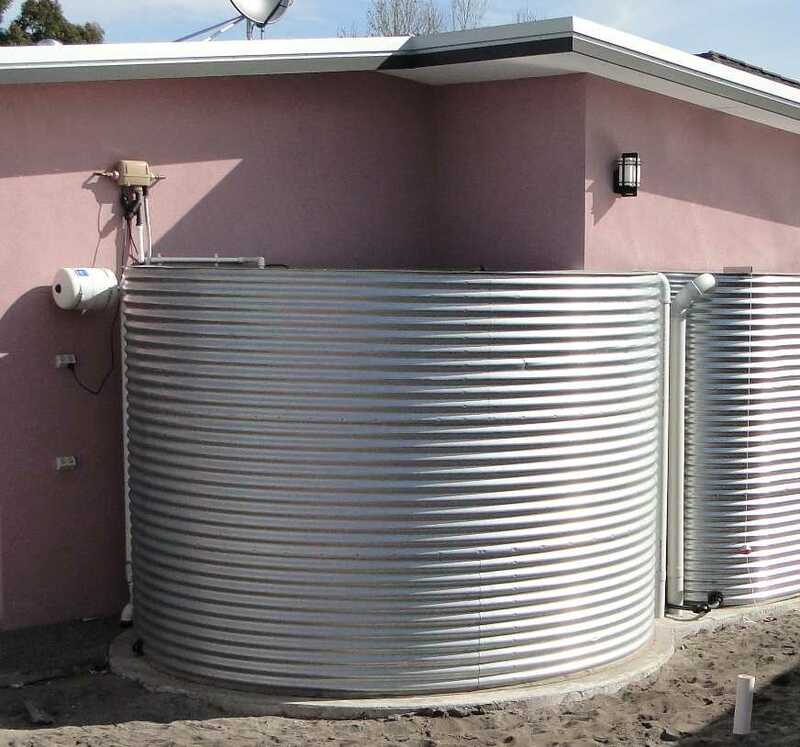 It takes water off a rear extension to the cottage via a wet system, but being slightly uphill the maximum fill level is reduced. 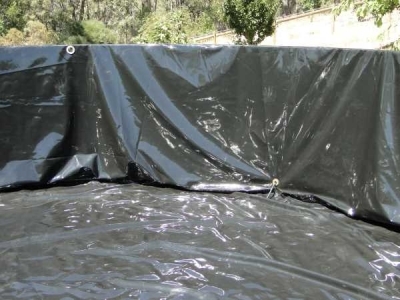 Aquaplate steel has a thin plastic membrane laminated to the inside of the corrugated galvanised steel plate to prevent corrosion. Want something well designed and that looks really smart?